Millions of mail pieces are sent out each day from every corner of the earth. Stamps.com and the United States Postal Service make it easier than ever for you to ship your letter or package to your customers in Canada, England, China or 190 other international destinations. The USPS’s international mail service is the most economical choice for most applications, and with no hidden fuel, residential or rural delivery surcharges, you know your actual cost when the package leaves your door. Further, with the USPS, you’ll get FREE envelopes and boxes for Priority Mail International and Priority Mail Express International, oftentimes a savings of up to $1 per shipment. Finally, you can, in most cases, leave your international packages or mail with your other outgoing mail for pickup by the mail carrier, or you can even arrange for carrier pickup – no extra charge. The USPS’s international mail service is the most economical choice for most applications, and with no hidden fuel, residential or rural delivery surcharges, you know your actual cost when the package leaves your door. Further, with the USPS, you’ll get FREE envelopes and boxes for Priority Mail International and Priority Mail Express International, oftentimes a savings of up to $1 per shipment. Finally, you can, in most cases, leave your international packages or mail with your other outgoing mail for pickup by the mail carrier, or you can even arrange for carrier pickup—no extra charge. Print postage, address labels and customs forms in one easy step. Save on postage costs when you ship internationally with Stamps.com, up to 5% on Priority Mail International, up to 5% on Priority Mail Express International and up to 5% on First Class Package International Service. Fill out all of your needed customs forms directly through the Stamps.com interface—no need to worry about forgetting forms or travel to the Post Office™ to hunt for the forms. 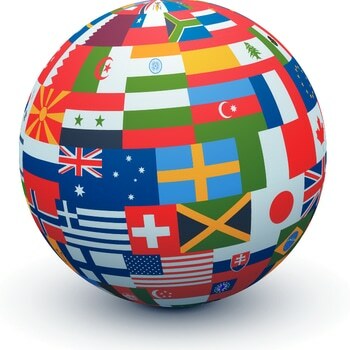 Consult the International Mail Manual right from the Stamps.com interface to avoid costly mistakes that could result in customs delays or even confiscations. Save up to 40% when you use Stamps.com International Insurance. First Class Package International Service: Lets you send small packages, letters and postcards from the United States to any of 190 destinations in the world. Priority Mail International: Gives you the flexibility of flat-rate boxes and envelopes to send mail anywhere across the world at a low flat fee, or if shipping items not fit for the flat rate mailers, a low rate by weight and destination. Normal shipping time is anywhere from 6 to 10 days depending on the destination and tracking is included for most services. Priority Mail Express International: Also has a flat-rate envelope and box option, and tracking is included. This service level also guarantees date-certain shipments to Australia, China, Hong Kong, Japan and South Korea, with a money-back refund if your shipment does not arrive by the specified date. 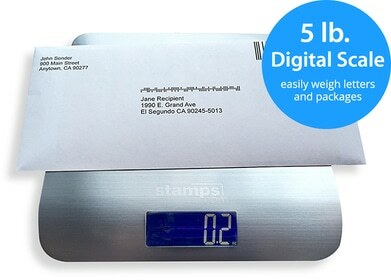 So remember–when shipping internationally, ship with confidence using Stamps.com. The world is open to communication. We’ll help get the message along.